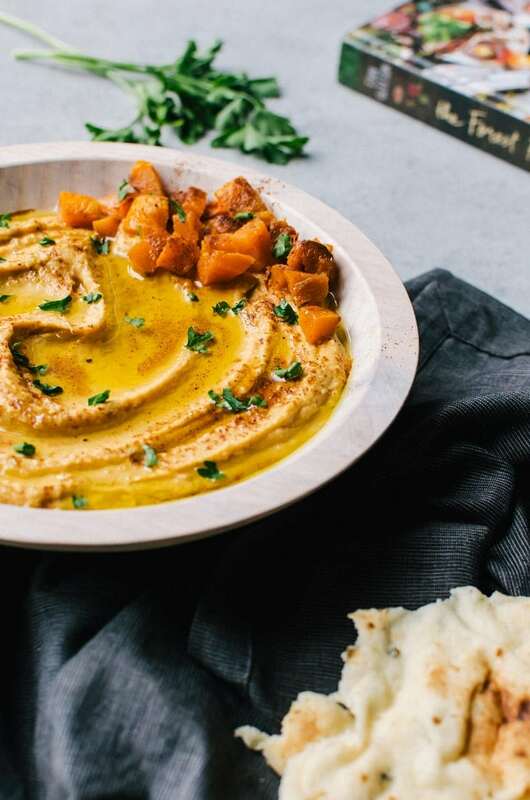 This butternut squash hummus is a creamy, delicious way to celebrate autumn with your favorite dip. 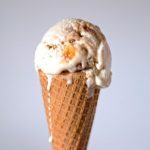 Top with extra butternut squash, pepitas, or extra virgin olive oil for an extra special treat! It is a well-known fact that I am a hummus fanatic. I can, and often do, eat my weight in hummus. A while back, I shared my roasted red pepper hummus recipe which is one of my favorties. 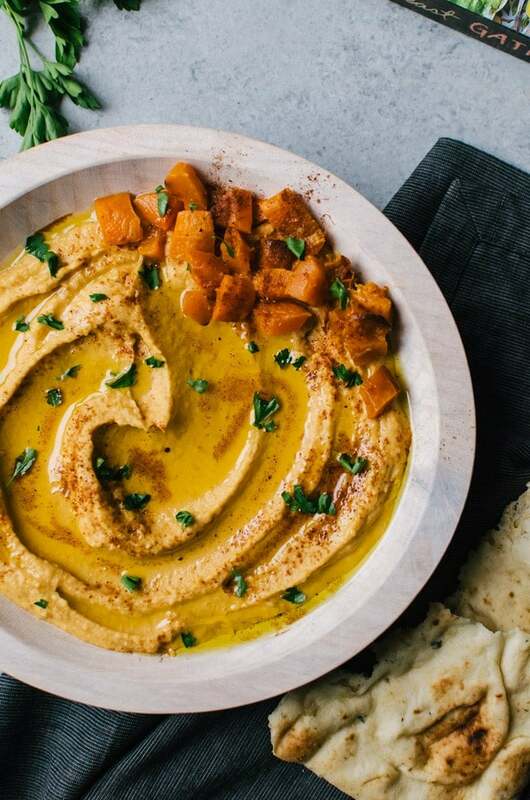 It used to be my absolute favorite until this roasted butternut squash hummus came around. Now that I have discovered this deliciousness, I just don’t know how I can possibly pick one as a favorite. They are both incredibly creamy and are full of flavor and perfect for dipping. One one hand, however, red pepper hummus feels more like a summer type of hummus while roasted butternut hummus is most definitely an autumn hummus. Hummus for all seasons, so I don’t really have to pick do I? No? Good. That’s what I thought. I can’t take credit for this recipe though. It isn’t mine, because, as I’ve said before, I am just not that clever. (and putting roasted butternut squash in hummus is totally clever to me!) No, all the credit goes to Erin from Forest Feast. 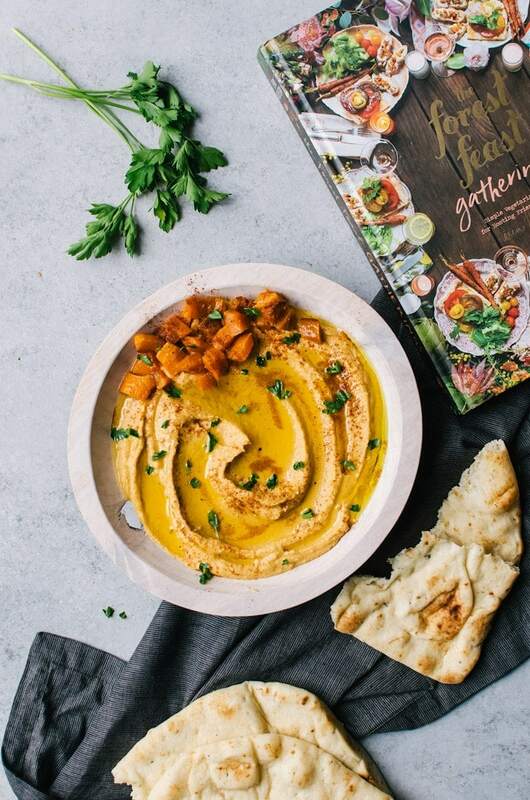 It was featured in her newest cookbook, Forest Feast Gatherings which shares incredible vegetarian recipes and menus perfect for parties and get togethers. This was just one of about two dozen recipes I wanted to immediately try, and the main reason this one was the first I tried was because I was craving butternut squash and even then it took me forever to decide to make this particular butternut squash recipe. The Forest Feast Gatherings has everything you need to create a spread everyone will love. 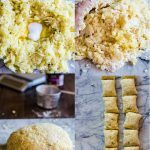 It is divided into season and occasion, plus it includes tips on setting up your own “bars” like a breakfast taco bar (no, there aren’t any pacos), creamy polenta bar, and even a rice noodle bar. And for anyone who is looking an adults-only get together, there is a whole section on cocktail parties. I’ve always wanted to throw a cocktail party a la Mad Men… maybe this will be the push I need to plan one! For now, you can find me at the snack bar, hoarding all the roasted butternut squash hummus. Peel the butternut squash and cut in half. Rub with extra virgin olive oil and a sprinkling of sea salt. Roast on a baking sheet for 35 minutes, turning halfway. Allow to cool completely. (I did this the day before). Add half the butternut squash, chickpeas, oil, paprika, salt, garlic powder, cayenne pepper, and lemon juice to a food processor or blender. Process until smooth and creamy. Add some of the chickpea liquid to the hummus one tablespoon at a time as needed to help make the hummus creamier. Cut up some of the remaining butternut squash into small cubes. Put the hummus in a bowl and top with extra virgin olive oil and the butternut quash. Serve with chips, naan bread, or pita chips. I challenge you to a hummus duel then Amanda, cause I could probably eat you under the table! Especially if you were serving this recipe! Looks and sounds so delicious! Your photos are gorgeous! Perfect hummus for fall! Thanks for sharing! 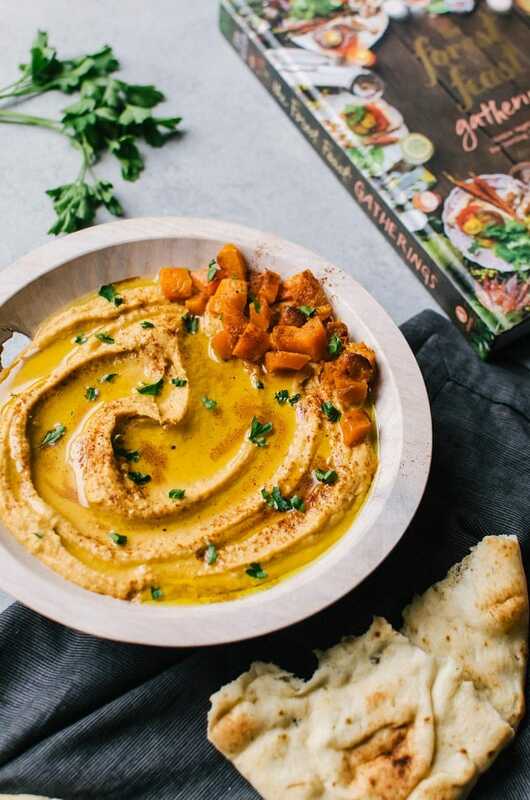 This hummus sounds perfect – especially b/c I’m often dipping stuff like sweet potatoes into hummus. Oh this is a beautiful bowl of hummus!!! This sounds like such a wonderful fall appetizer! The flavors work so well with hummus!